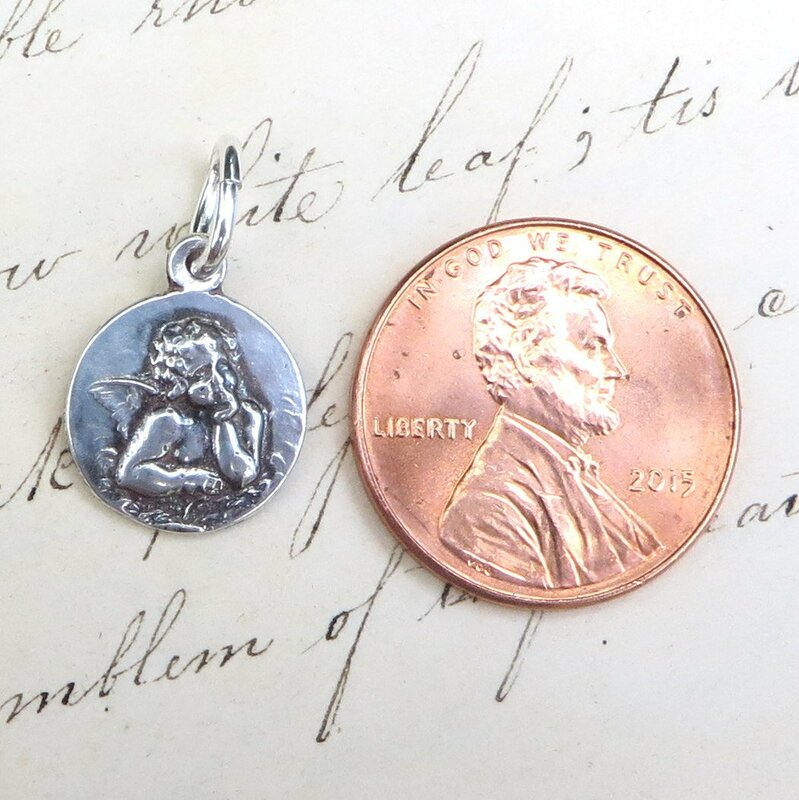 This lovely little medal features a depiction of the small thinking angel that is found on the bottom edge of Raphael’s famous painting “The Sistine Madonna”. 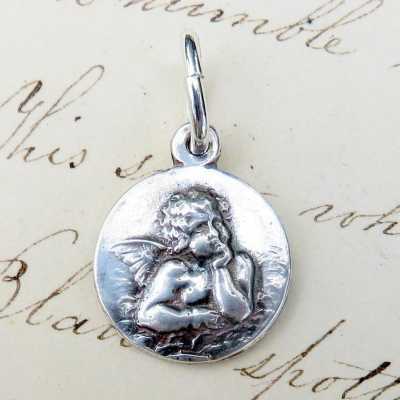 It’s the perfect image to remind you of your guardian angel who is always by your side. 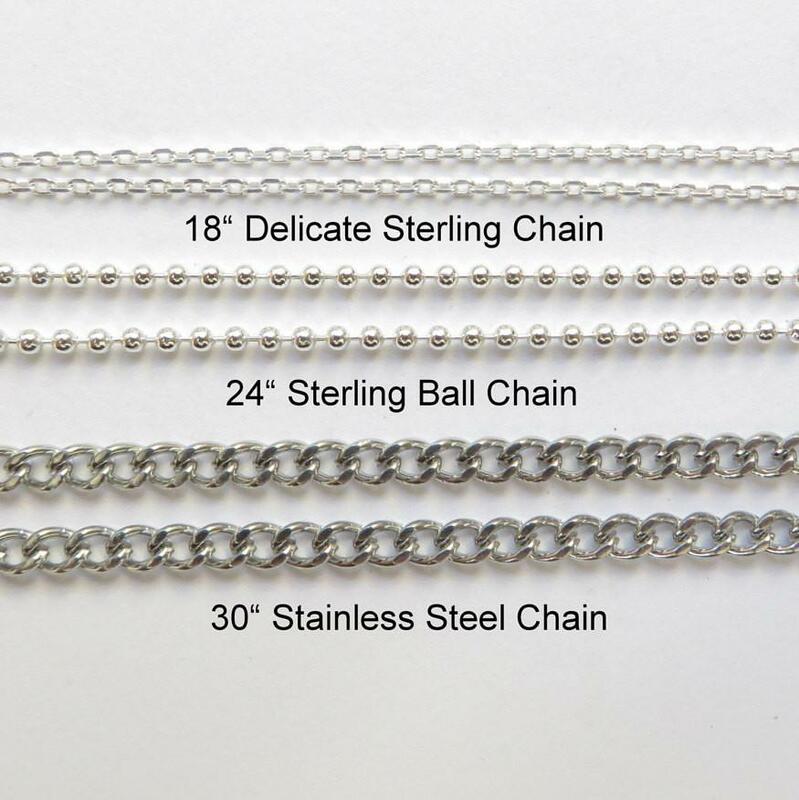 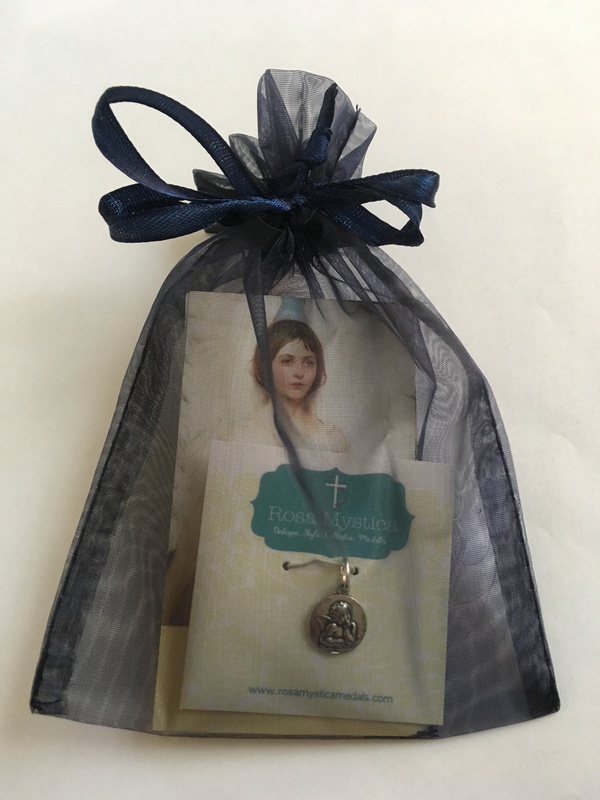 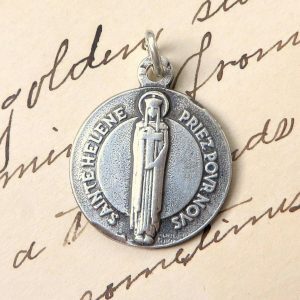 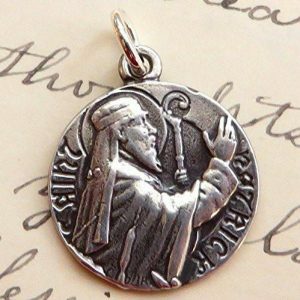 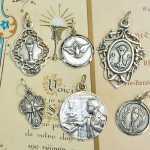 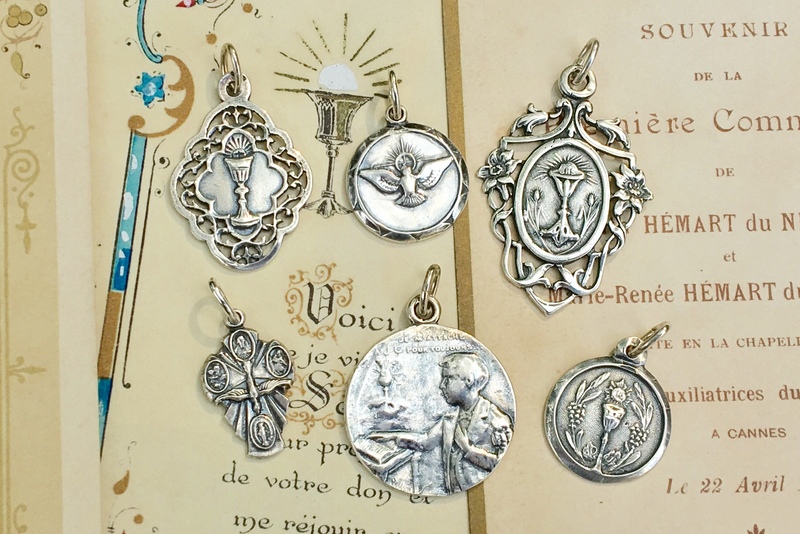 It is made of sterling silver and will come with a matching holy card in an organza gift bag, so it’s ready to give as a present to someone else or yourself. 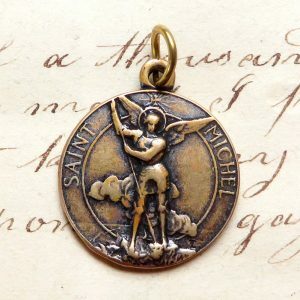 It was cast from a vintage medal in my collection so it shows all the wear of the original piece. 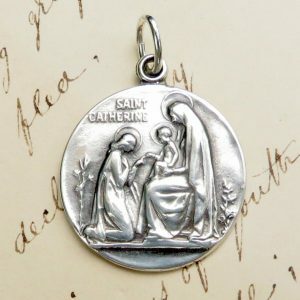 It’s been tumbled for durability and oxidized to give it an aged patina.